I’m so excited to share this month’s Styling The Seasons post with you for two reasons – first of all, I had so much fun putting it together, and secondly because it brought a much needed touch of sunshine yellow to these gloomy winter days! Regular readers of my blog will know that I take part in Styling The Seasons every month (see my favourite posts here and here). You can see lots of other posts by other bloggers by heading over to Katy’s blog Apartment Apothecary and Charlotte at Lotts and Lots. You can also join in on Instagram by styling a surface in your home according to what that month means to you, and using the hashtag #StylingTheSeasons. 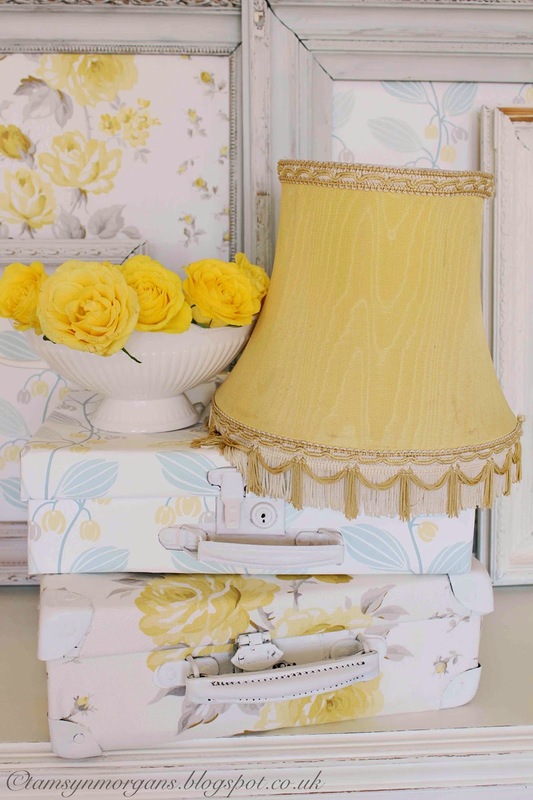 I was so excited to learn that this month, the wonderful people at Laura Ashley were giving us the chance to work with some of their beautiful wallpaper and home accessories! I’m a big fan of Laura Ashley and their vintage inspired prints and wallpapers, and can often be found lusting after their beautiful rugs! After spending a long time on their website trying to narrow it down from all the pretty florals, I chose Spring Trail wallpaper, with it’s sweet trailing leaves and buds, and Clarissa Chamomile fabric with it’s big, blousey primrose coloured rose blooms. I also chose an elegant ceramic urn for displaying fresh flowers in. Yellow isn’t a colour I use a lot of in my home, but it seemed natural to run with the sunshine buttercup theme, and run with it I did! 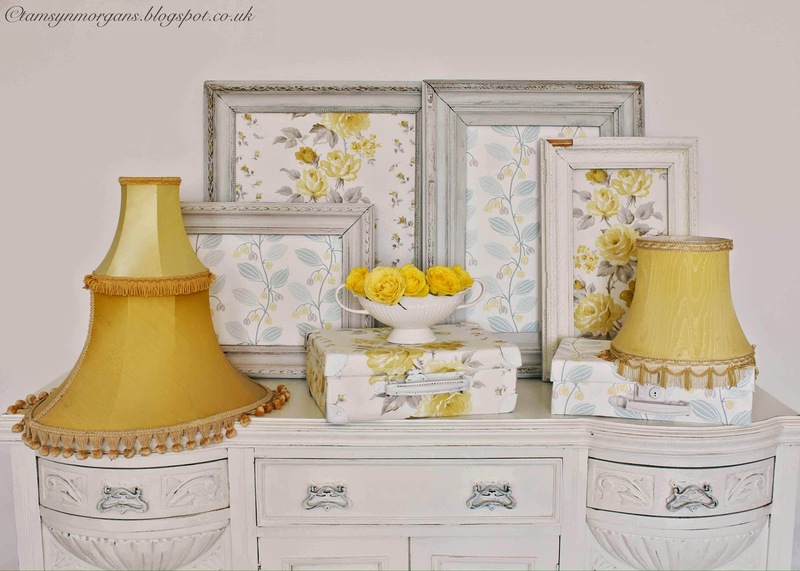 Once I received all my lovely things, I realised that the patterns on the wallpaper and fabric, and even the urn, had a very 1950’s feel to them. 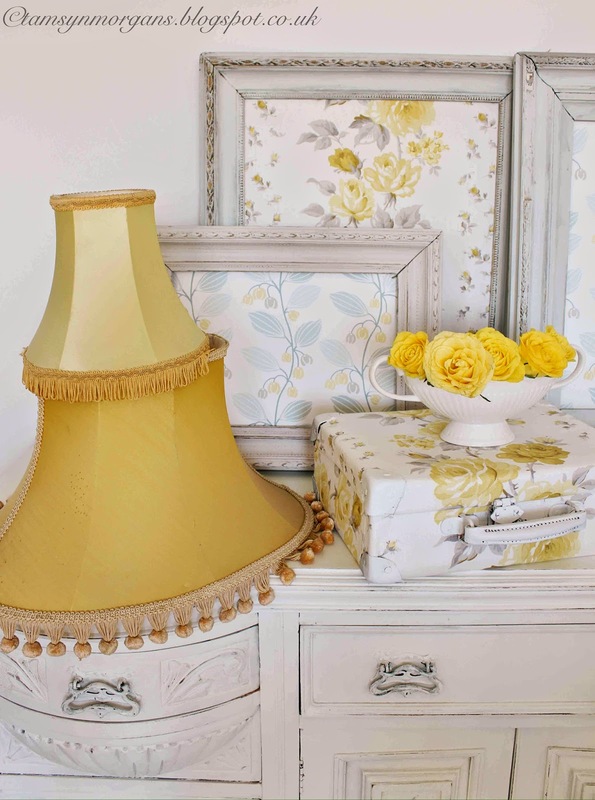 So after framing sections of wallpaper and fabric in beautiful old painted frames to make a mini gallery, I went hunting round the house for vintage yellow lampshades to stack theatrically (can you believe I found three – I have an addiction to old lampshades!). I thought it would be a lovely idea to cover some mini vintage suitcases too – they look so sweet stacked on top of each other. 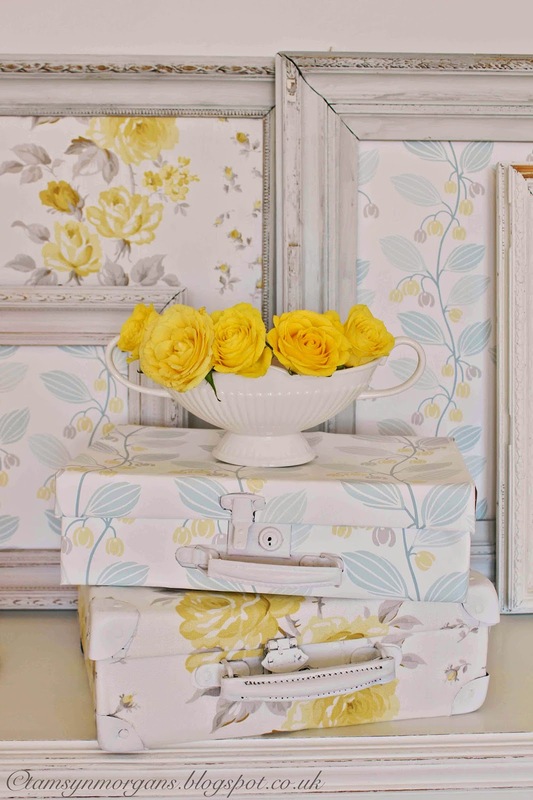 The only flowers that would do were yellow roses to echo the blooms in the Clarissa fabric, for the finishing touch. Please do hop over to the Laura Ashley blog here to see mine and my fellow bloggers posts – Laura Ashley are running an exciting competition to vote for your favourite Styling the Seasons, and you can be in with a chance of winning a £50 Laura Ashley vouchers just by voting for your favourite! 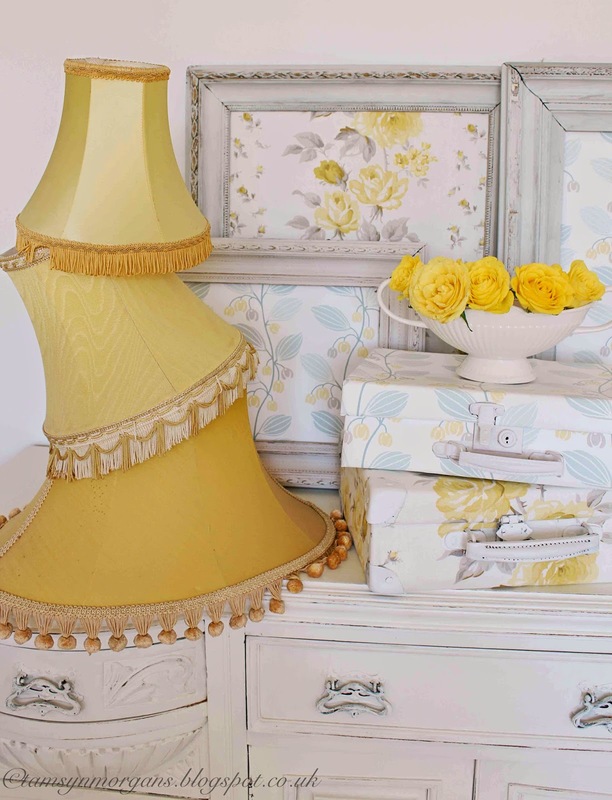 Love the pops of yellow, it really lifts the scene! This is so gorgeous, I absolutely adore the lampshades and the suitcases look fabulous. I always look forward to your posts they are just full of loveliness!